In past years, I kept the basil cut way back to encourage it to keep growing. This year though, I let is just grow and grow so that it would bring bees into the garden. It’s gotten super big! It’s probably about four feet tall, and so heavy it’s bent way over, nearly touching nearly the bottom of the deck. The leaves are huge and thick, not very edible raw, and the flowers just pretty. Word for tomorrow – TOUCHING. If you prefer to work ahead, see the list for the week under “A Word A Day”. I was going to say the same thing. Time for some pesto! 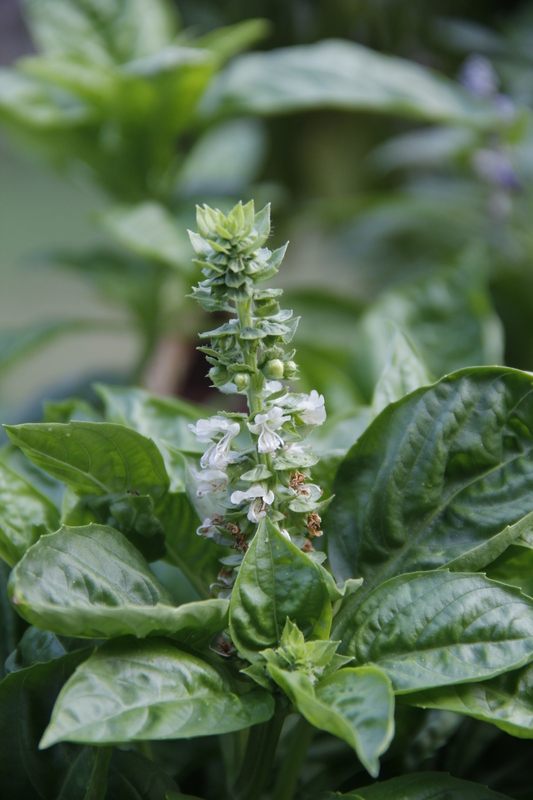 Nice healthy looking basil. I had basil pesto for lunch today.